Treadmill Super Sale on Central Avenue, Westchester County, NY! 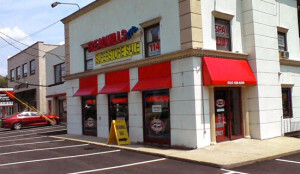 7/20 Treadmill Super Sale on Central Avenue, Westchester County, NY! Stop by and visit Joe Lynam, Today, 7/20/14 for a free accessory and demonstration on a Life Fitness, Landice, Vision, Bodyguard or BH Brand Treadmill! Largest Discounts of the Season through the End of July! Visit and Fitness Showrooms for Same Discounts and Incentives!